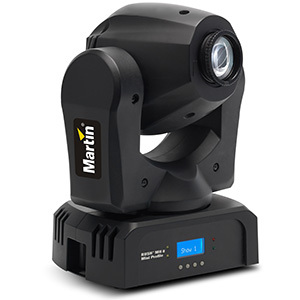 The Martin THRILL Profile is a moving head profile fixture with a MSRP of £429. 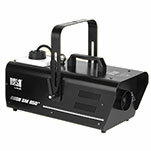 It features an 18W white LED engine and super sharp optics for crisp pattern projections and mid-air effects. 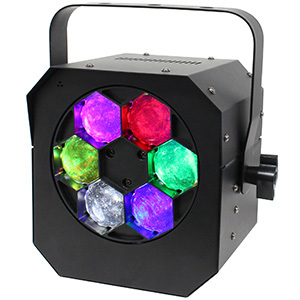 The compact fixture features 8 fixed GOBOs and 8 vibrant dichroic colour filters as well as smooth and fast pan/tilt movement. 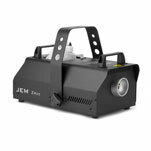 Producing high velocity plumes of coloured smoke that reach heights of 7m (25 ft.) and simulate pyrotechnic effects, the THRILL Vertical Fogger is an atmospheric fog machine that features 21 built-in 3W RGB LEDs. With a MSRP of £379, the machine has a 1400W heat exchanger and is capable of generating 480 cubic metres of fog per minute. 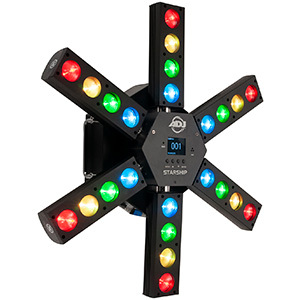 The THRILL Multi-FX LED is a 3-in-1 fixture that combines LED moonflower and strobe effects with a red and green diffraction grating laser. 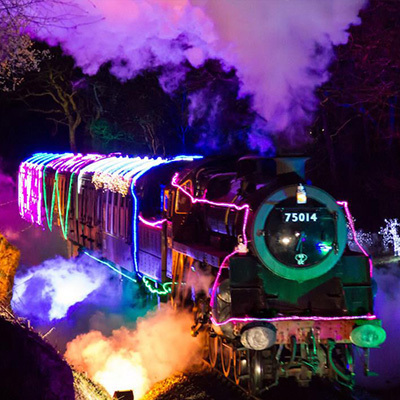 The moonflower effect features five RGBWA LEDs projected onto a moving mirror dish which shoots countless coloured beams through the eight lenses arranged around the face of the fixture. These are interspersed by eight 1W white LEDs to provide the strobe effect, while the laser diodes are positioned in the middle. 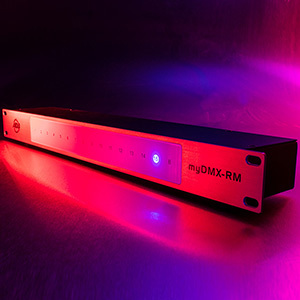 With a MSRP of £189, the THRILL Multi-FX LED is designed to produce a variety of dancefloor-filling effects from a single compact unit. 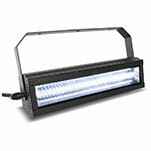 The THRILL Series is rounded out by two LED par can models. 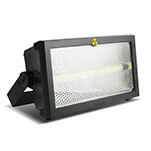 The THRILL Compact PAR Mini LED features seven 3-watt RGBWA+UV LEDs and has a MSRP of £89, while the Compact PAR 64 LED incorporates five 12-watt RGBWA+UV LED and has a MSRP of £129. Both fixtures feature a multi-function bracket that can be used for hanging or floor standing as well as a sit-flat design that can be used for vertical up-lighting. All of the fixtures in the THRILL Series have robust outer cases finished in matt black. 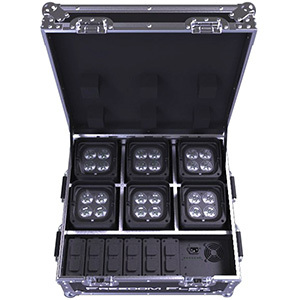 They also all feature IEC mains power inlet sockets and offer easy to operate standalone sound-activated and master/slave modes as well as full DMX control. 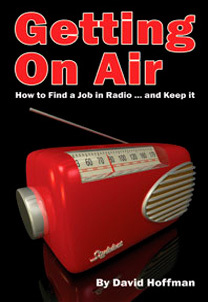 Martin by HARMAN products are exclusively distributed in the UK by Sound Technology Ltd. The THRILL Mini Profile, THRILL Vertical Fogger, THRILL Compact Par 64 LED and THRILL Compact Par Mini LED are available now. The THRILL Multi-FX LED is due to begin shipping in January 2018.